The Kings XI Punjab is hosting the Rajasthan Royals today at the IS Bindra Stadium in Mohali in the second leg of the IPL 2019. The last time the two teams locked horns, Ravichandran Ashwin’s mankading incident grabbed the headlines. It was Kings XI Punjab who walked away with a 14 run victory back then at the Sawai Mansingh Stadium. Now, the two teams lock horns today once again. And the news from the center is Ajinkya Rahane has won the toss and has elected to bowl. 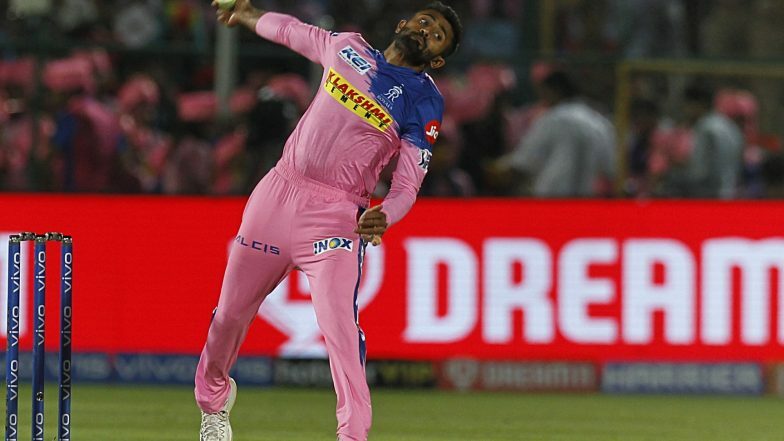 KXIP vs RR IPL 2019 Live Cricket Streaming: Watch Free Telecast of Kings XI Punjab vs Rajasthan Royals on Star Sports and Hotstar Online. Out of the 18 games played between both the teams, Kings XI Punjab has won eight games and the rest were won by the Rajasthan Royals. The hosts, Kings XI Punjab have a 3-1 win-loss record in matches in the Indian Premier League 2019. Steve Smith and Chris Gayle have strike-rates of 94.25 and 96.22 respectively against spinners this season. Jos Buttler will be the man to watch out for as he has been extremely handy for the team with the bat. Watch video of the toss. Now, let’s have a look at the playing XI of the teams.